*If using Gluten Free Bagel, Pancake & Waffle Mix, omit baking powder. Preheat oven to 400° F. Place Perfect Portion Bagel & Donut Pan on a Sheet Pan. Lightly brush with oil; set aside. In a bowl, whisk together flour, cocoa, baking powder, and salt. Set aside. In a large bowl, whisk egg; whisk in milk, sugar, butter, and vanilla. 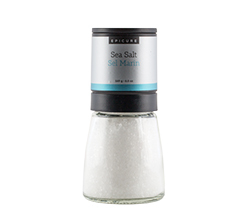 Add dry ingredients; stir just until combined. 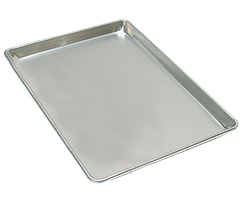 Scrape batter into a piping bag; pipe into six pan wells. Bake until a toothpick inserted in centre comes out clean, about 15 min. 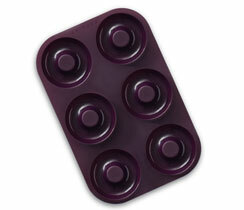 When cool to the touch, flip onto sheet pan and press to release donuts. Dust with icing sugar or cocoa, or top with your favourite icing. Power Up! 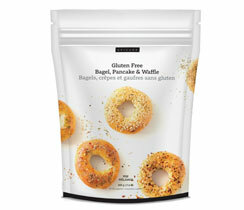 Replace 1 scoop flour or Gluten Free Bagel, Pancake & Waffle Mix with 1 scoop Vanilla Optimum Vegan Protein Blend. 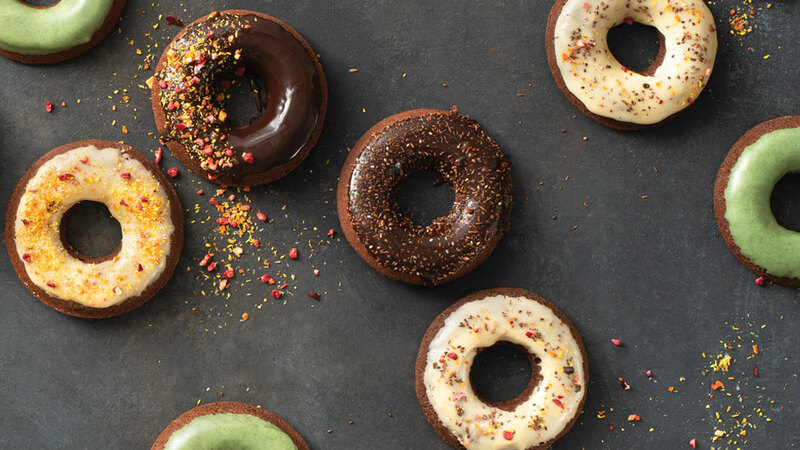 Triple Chocolate Glazed: Replace cocoa with Cocoa Açai Smoothie Booster. 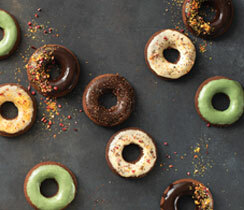 Glaze with Chocolate Fudge Sauce Mix (Pkg of 2); sprinkle with Cocoa Crunch Whole Food Topper. Super Greens: Replace cocoa with Super Greens Smoothie Booster. Spice It: Stir 1 tsp (p.1005245) or Cinnamon (ground) into the batter.